Wowsa! 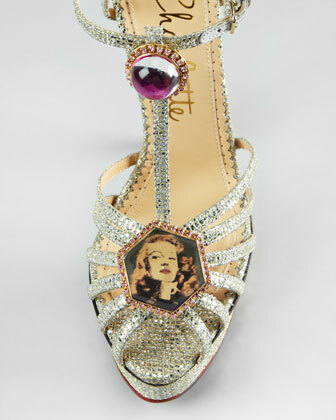 These "Leading Lady" sandals from Charlotte Olympia are such a work of art. 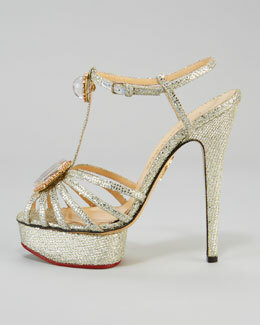 I'd seriously plan a glitz-fest around these shoes, which feature siren Rita Hayworth in a crystal-crusted brooch. Swoon! There are so many "leading ladies" out there who deserve to feel beautiful in what sometimes can feel like an unforgiving world. Keep your heels and your heads high, leading ladies.